The Food Network Wine & Food Festival is a special time of the year. An unparalleled number of culinary masters descend upon NYC, flexing their flavor yielding muscles to provide some of the best fare eaters can collectively wrap their heads (mouths?) around. 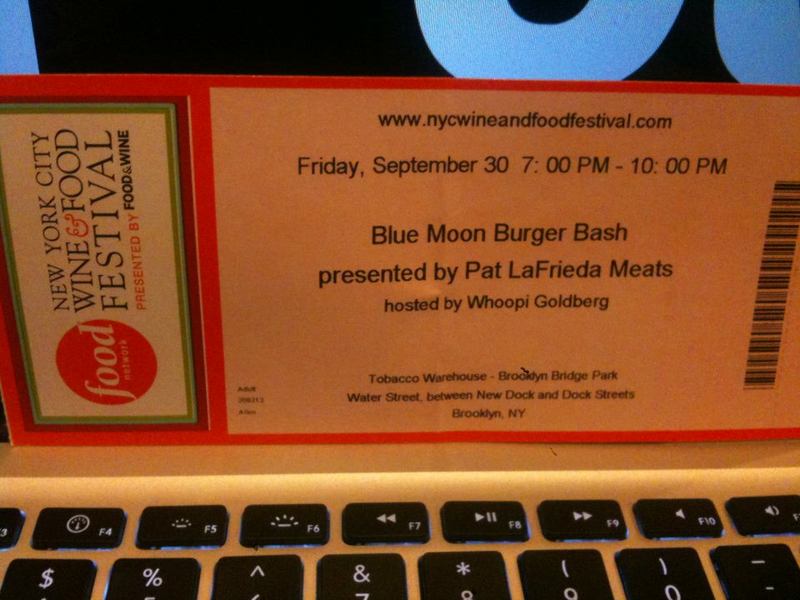 Among the plethora of wild events that take place, the Blue Moon Burger Bash leads the way as the hottest ticket around. Gathering some of the most prominent burger building chefs in the country to the equally great space in Brooklyn at the Tobacco Warehouse, the Burger Bash is an event unlike any other for burger lovers – especially those like us who search for the best burger in NYC. With over twenty participating restaurants and chefs, the collection of finely tuned meat is massive. Quite the collection, no? 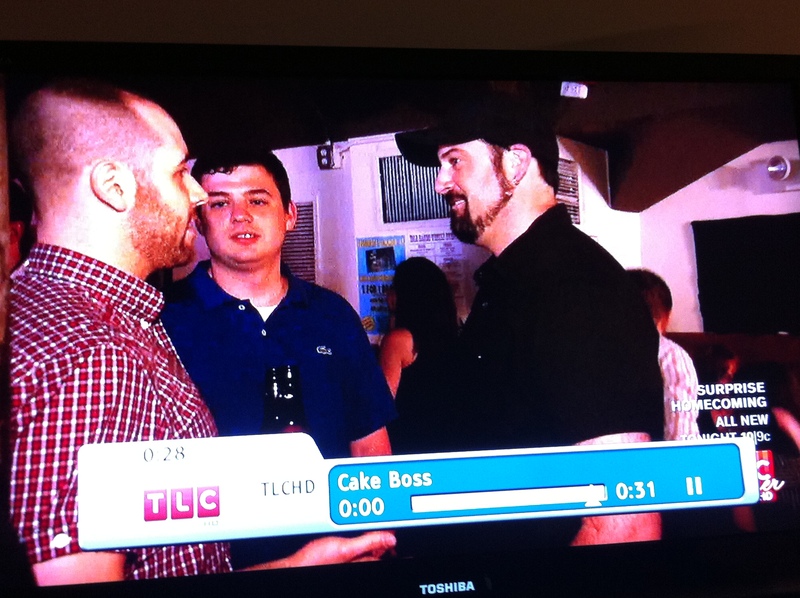 It was OUR PLEASURE to attend such a lavish and well represented event. 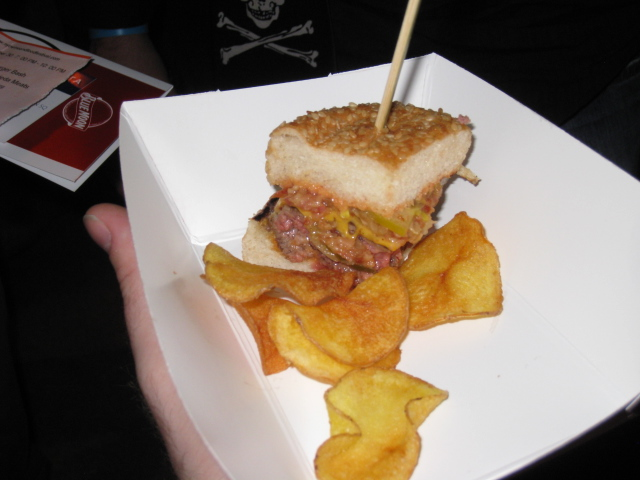 It’s essentially the one night of the year when a burger blogger feels like Burger Royalty. With no shortage of burger sustenance, below we round up a few of our favorites from the evening. The Burger: Akaushi Cheeseburger with Herbed Mayo: Aged Bloomsday Cheese, Baby Argula and pickled Jalapeños on a Sesame Bun. 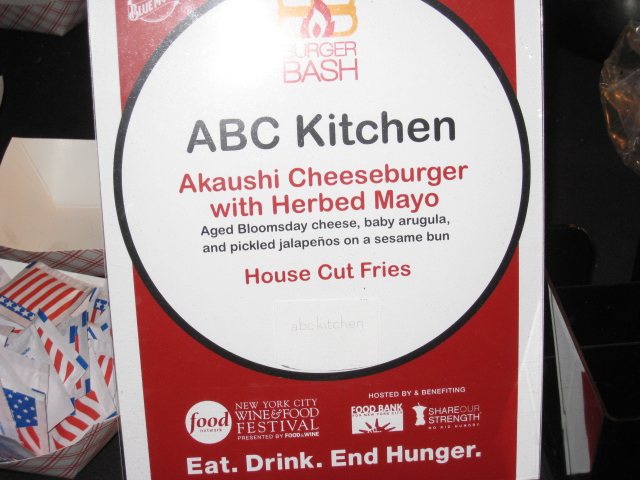 Jalapeno doesn’t typically come to mind when you peak at a laundry list of burger toppings, but ABC’s burger helps make the case. Pickled to perfection with delectable tanginess, the pepper gave this entry its clout. In addition, a nicely medium rare patty draped in aged cheese and a winning soft and airy bun helped Chef Kluger make quite the impression. It’s no wonder his Union Square restaurant was one of the best new spots received in 2011. The Burger: Lamb & Brisket Burger: Spicy Garlic Aioli, Vine Ripe Tomato, Goat-Feta and pickled Red Onion. Who says Beauty & Essex is all glitz and glam in the LES? 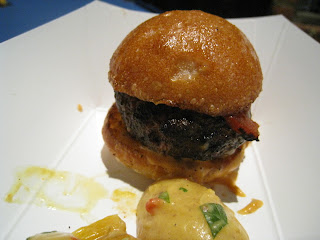 Chef Santos constructed a buzz-worthy burger for the ages with his unique combination of lamb and brisket. Supreme texture and taste, the first bite was a knockout. Feta cheese mixed with a spicy aioli? Genius. Still, the meat shined through and that, in essence, was the brilliance magnified in this burger. 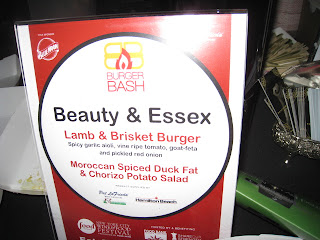 Well-balanced, cooked medium rare and bearing that desirable char, Beauty & Essex’s entry was outstanding. 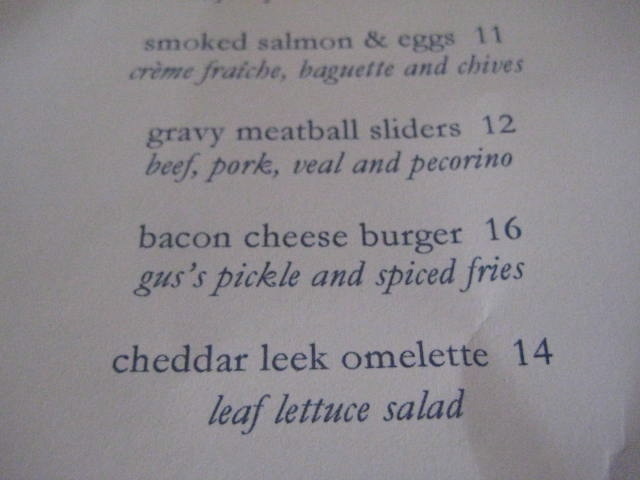 The Burger: Bison Burger, Slab Bacon, Smoked Cheddar & Secret Sauce. The Bash Burger: American Cheese, Secret Sauce, Shaved Pickles, Bacon & Onion Jam on a Martin’s Potato Roll. No secret, we love Chef Capon’s Bash Burger. And for good reason, it’s magically delicious. The guy is as consistent as one can be with his delicate preparation and equally proportioned bites. Apparently, the cooking apparatus at the Bash threw a wrench in his plans to serve bison – the result just wasn’t to his liking. 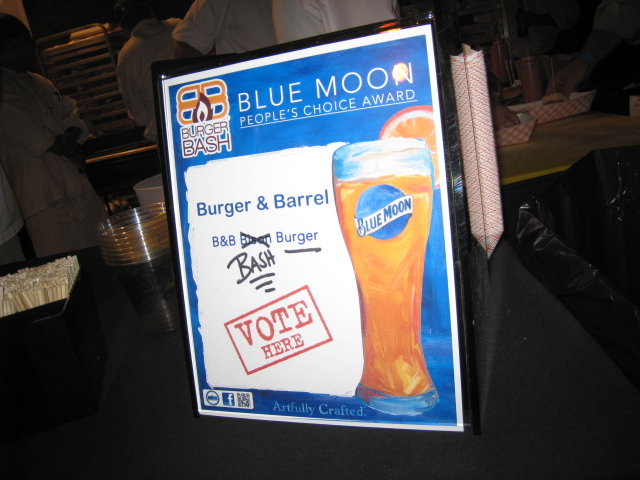 So, he scrapped the bison and went with the tried and true Bash Burger which won him 2009’s People’s Choice Award. Good call. Juicy, beautifully charred and oozing at the seams with that molasses-like jam. Perfection. 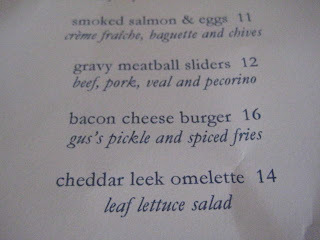 Consider us vindicated and confirmed as burger aficionados. Can we say that? We mean, let’s face it, we love the Bash Burger from Lure/Burger & Barrel and it’s now won two of the past three Burger Bash People’s Choice Awards. Coincidence? You decide. 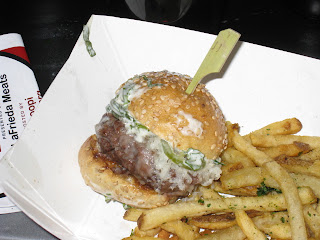 Nevertheless, jokes aside, Chef Capon deserves the praise – his burger is truly tasty. 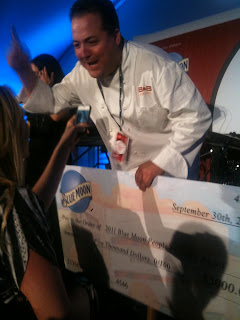 Similarly, Beauty & Essex’s win was justified, as Chef Kluger’s toppings crushed the competition. Overall, the 2011 Blue Moon Burger Bash, in all its glory, was an epic success. We strolled the grounds with our good buddy Rev from Burger Conquest (check his NYWFF Burger Bash review here) and couldn’t have asked for better company – the man just knows his burgers. Next year, we implore you to grab a ticket to this feast, wear your loosest fitting jeans and try every burger possible…the gluttony is worth every penny. We're serving up a new weekly segment to keep you acquainted with the news and stories we deem worthy from the prior week. A small, curated list. Think we missed a must-read? Drop us a line at contact [at] bestburgernyc [dot] com. Burger Bedlam favorite Burger & Barrel has new lunch and dinner menus while also launching a happy hour from 4 to 6 p.m. with $5 wine and beer on tap. Aside from the always amazing burgers, try the fried chicken, short rib tacos and chicken lollipops. Trust us.